Joe Lewis and Andrew Considine have backed the Mission Christmas campaign. Aberdeen stars, Joe Lewis and Andrew Considine, have urged Dons supporters to back a festive campaign this weekend. Fresh from being involved in the team’s 1-0 victory over Rangers at Ibrox, the duo have encouraged supporters to do a spot of Christmas shopping ahead of their next home fixture against St Johnstone on Saturday. 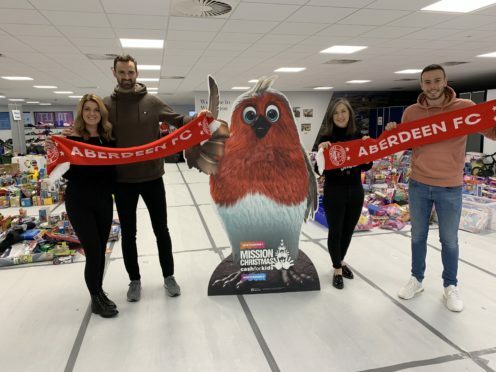 Two vans will be parked outside Pittodrie to collect gifts for the Cash for Kids Mission Christmas appeal which ensures scores of north east children and young people are given the chance to experience festive joy this month. Mission Christmas is expecting its busiest year ever and is preparing to receive up to 10,000 applications for support. The players visited the Mission Christmas warehouse on Thursday to show their backing for the efforts of the small team of staff and volunteers who organise gift bundles for thousands of children. They were surprised to learn that the highest number of applications are for teenagers, in particular boys, but the campaign receives relatively few gifts for this group. 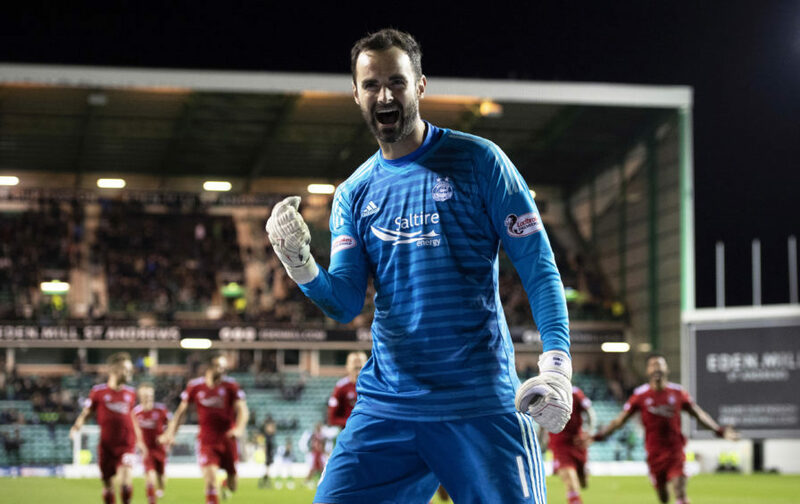 Joe Lewis has urged Dons fans to back Mission Christmas. The pair donated a collection of Aberdeen FC goodies, including scarves, calendars and water bottles, to add to the growing bundle of presents. Mr Lewis said: “It was a real eye-opener to visit the Mission Christmas team today. “It is incredible to think there is such a huge demand for gifts here in the north-east and we hope our fans will be able to support the efforts ahead of our St Johnstone match. Michelle Ferguson, charity manager at Northsound’s Cash for Kids, added: We are incredibly grateful to Aberdeen Football Club for giving us the opportunity to be able to directly engage with Dons fans on match day.